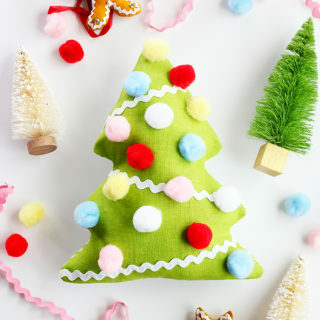 I have such a soft spot for cute decorated Oreos, especially around the holidays. 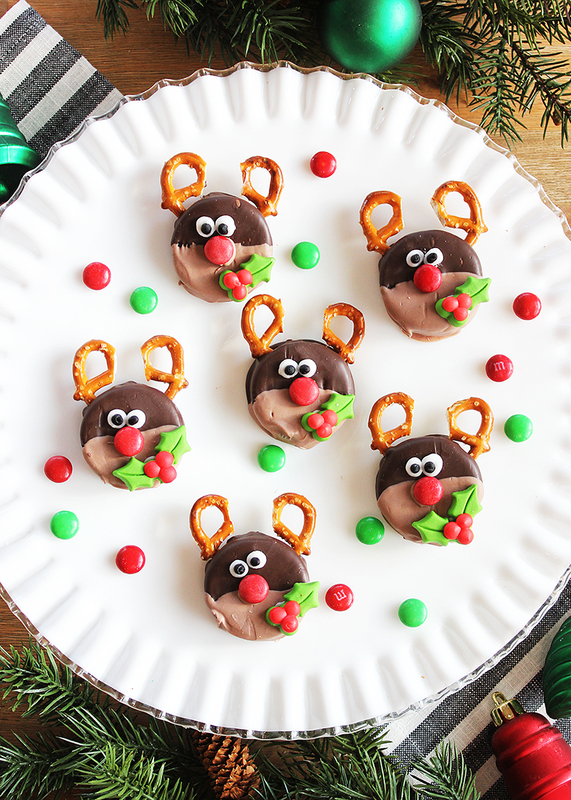 These adorable Rudolph Christmas Oreos are a quick and easy Christmas cookie to make with kids, and they are so perfect for taking along to holiday parties at school, work, church, or anywhere in between! 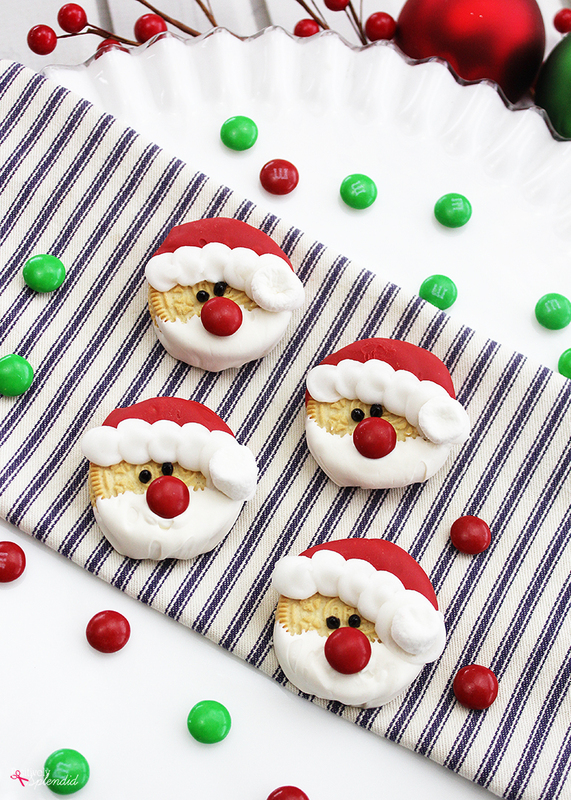 (And if you’re feeling particularly festive, you can even make a batch of my cute Santa Oreos to go with them!) 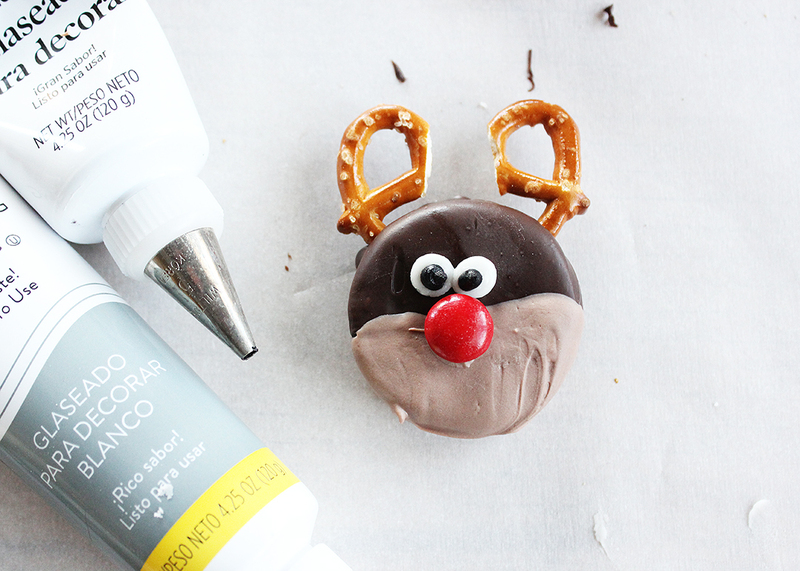 Continue reading for all of the details for how to make a batch of reindeer Oreo cookies of your own. 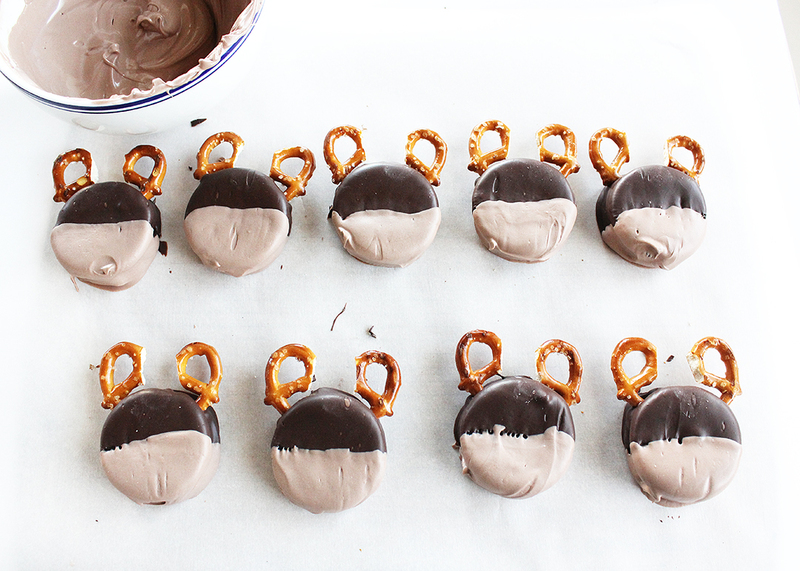 Using a very sharp knife, have an adult cut the pretzels in half to form two antlers for each reindeer Oreo. 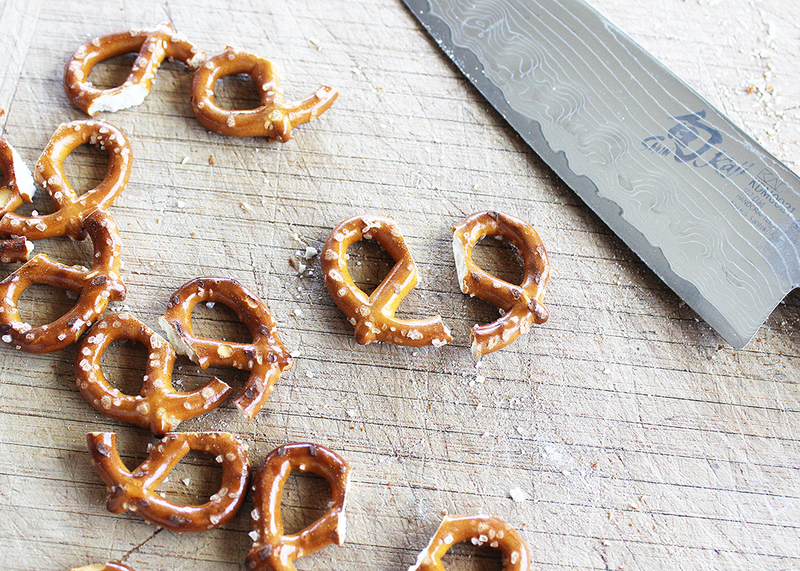 Pro Tip: Use a gentle sawing motion to cut the pretzels and avoid applying too much pressure to prevent the pretzels from splintering as you cut. 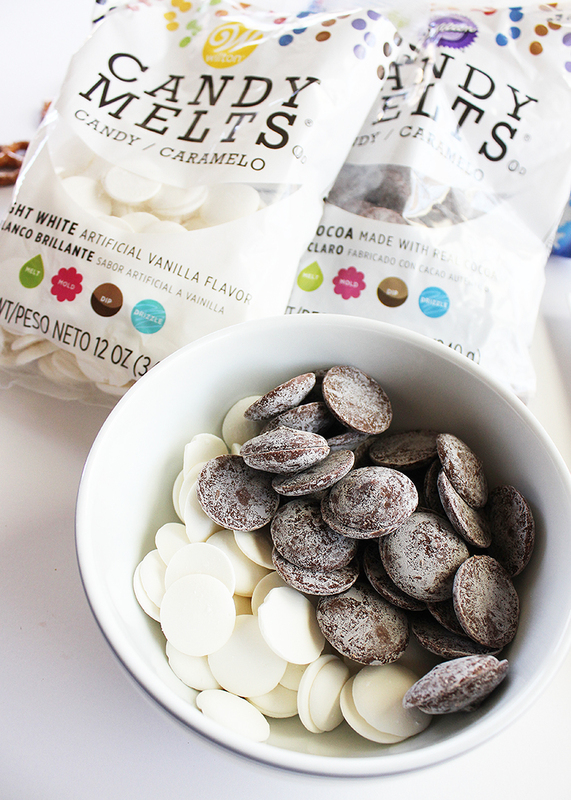 Melt the dark cocoa candy melts according to the package instructions. 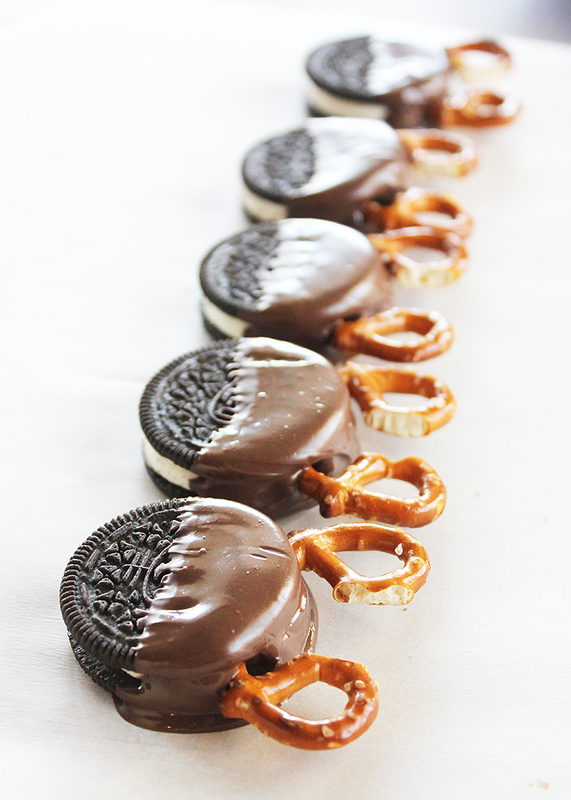 Dip half of each Oreo into the melted candy coating, and then press two pretzel halves into the center of the cookie cream filling through the candy coating, as shown. 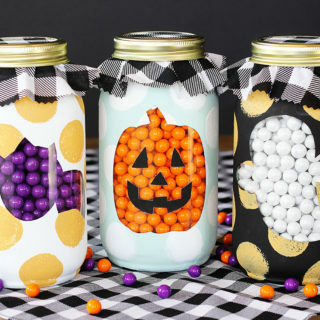 (This particular step is why I recommend using the Mega Stuf Oreos instead of regular Oreos, since the extra filling makes it easier to fit the pretzel pieces.) 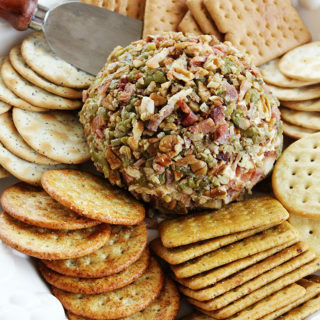 Place the cookies in the fridge to chill until the candy coating is firm, about 10 minutes. 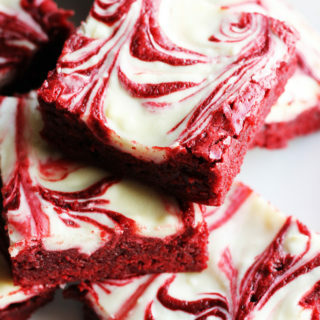 Fill a second microwave-safe bowl halfway with the bright white and dark cocoa candy melts, and melt according to the package instructions. 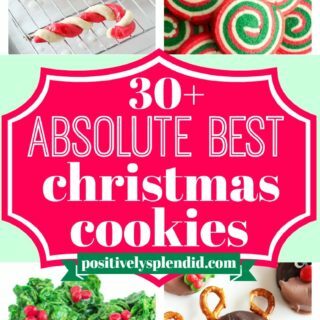 Remove the chilled cookies from the fridge, and dip the other half of each cookie into the melted candy coating. 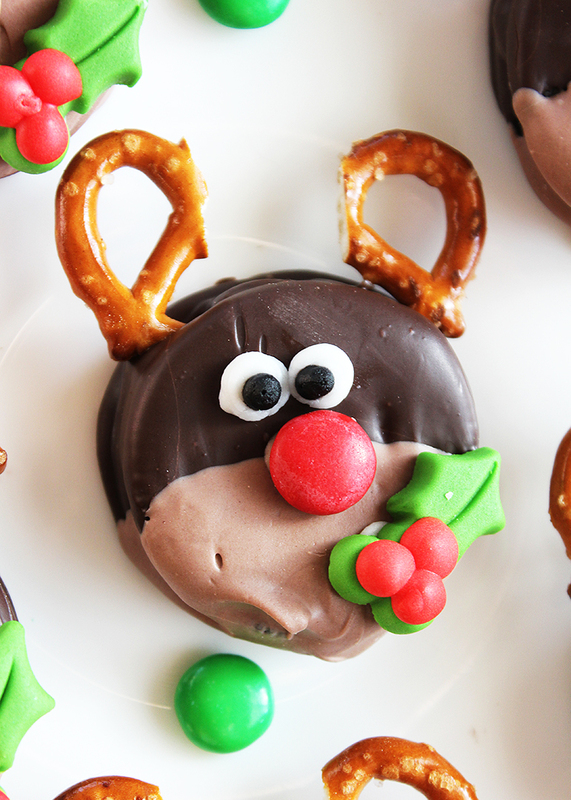 Before the light brown candy coating has set, give your Rudolphs their signature red M&M nose. 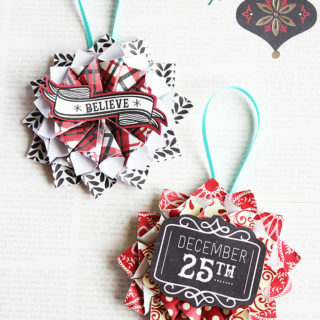 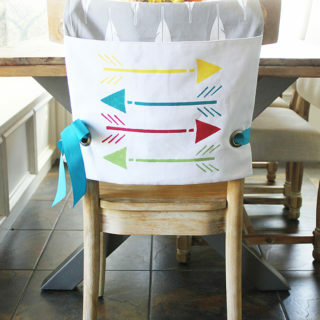 (At this point, you can also add a cute embellishment to the neck like the holly berry candies I used for my cookies.) 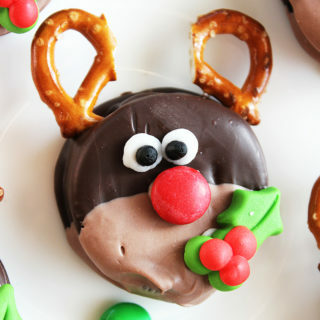 Pipe on two white frosting circles above the nose, and then add two black frosting dots at the center of each to create the reindeer eyes. 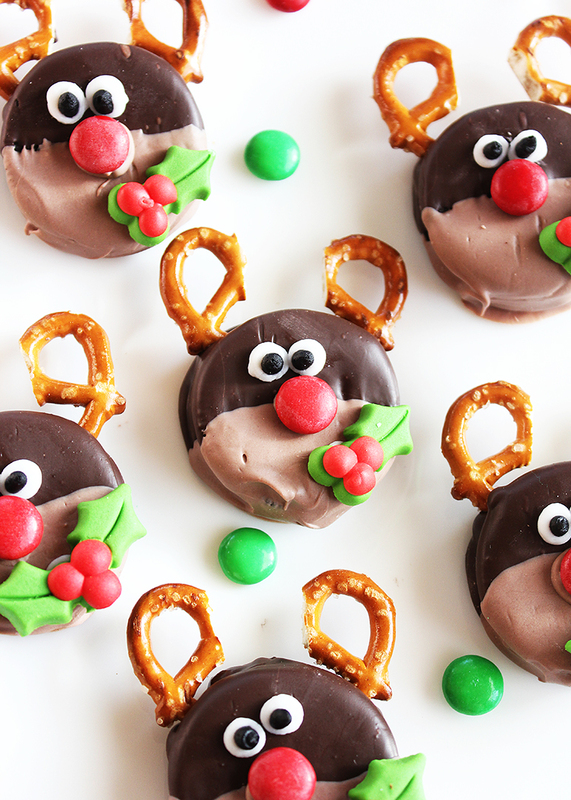 Your adorable Rudolph Christmas Oreos are all finished! 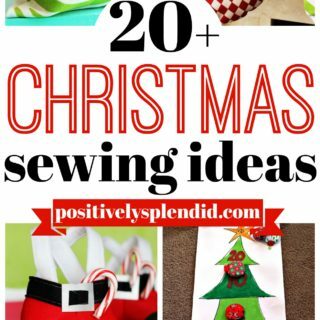 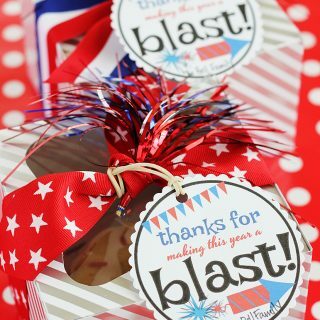 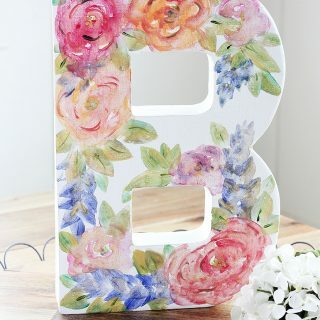 I love the idea of making these to take to a holiday party, or even packaging them up to give as sweet little gifts for neighbors and friends. 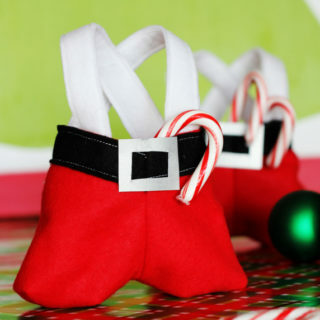 To make some cute companions to go along with your reindeer, be sure to check out my fun Santa Oreo tutorial!